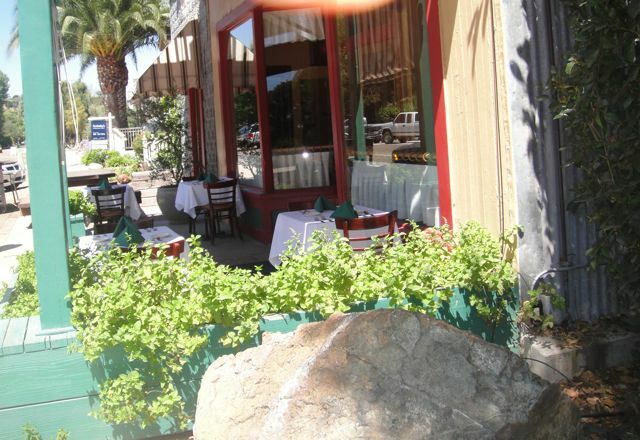 We made a discovery on the way to Los Gatos and Manresa. 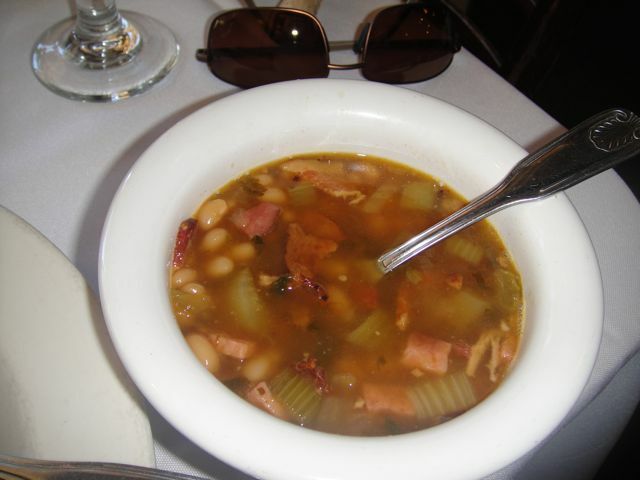 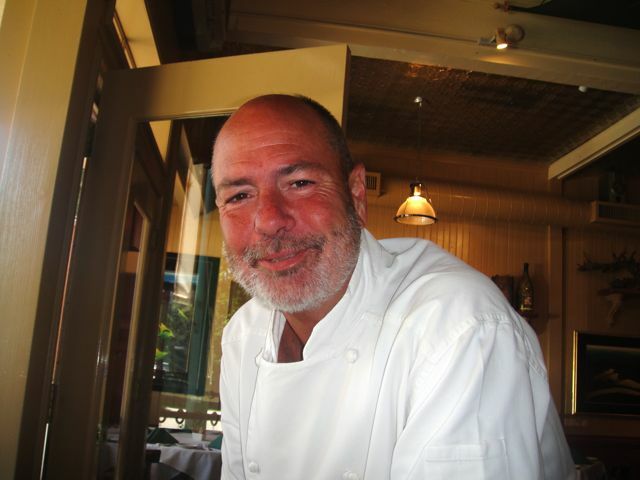 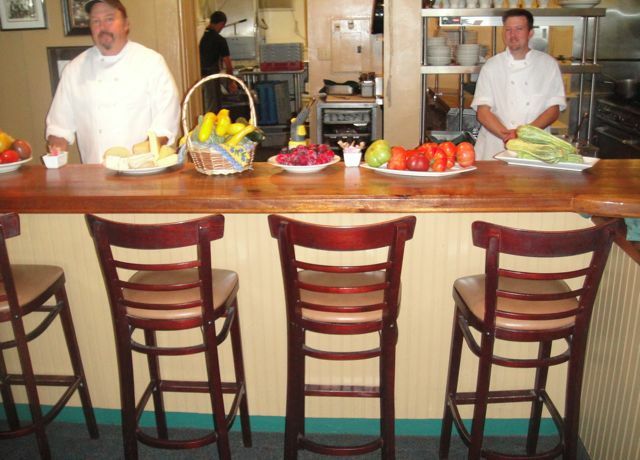 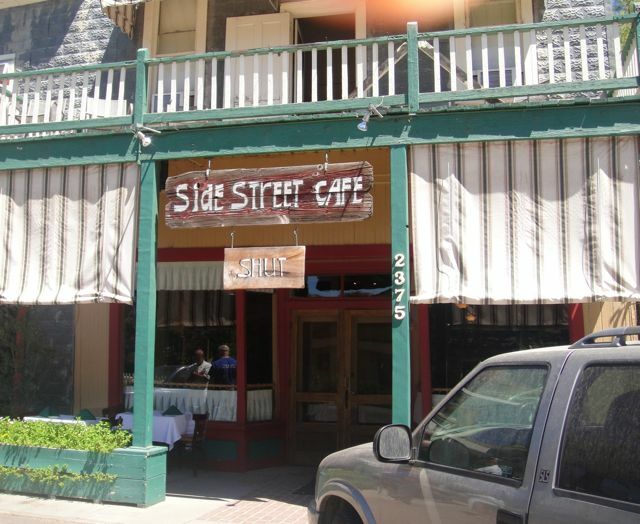 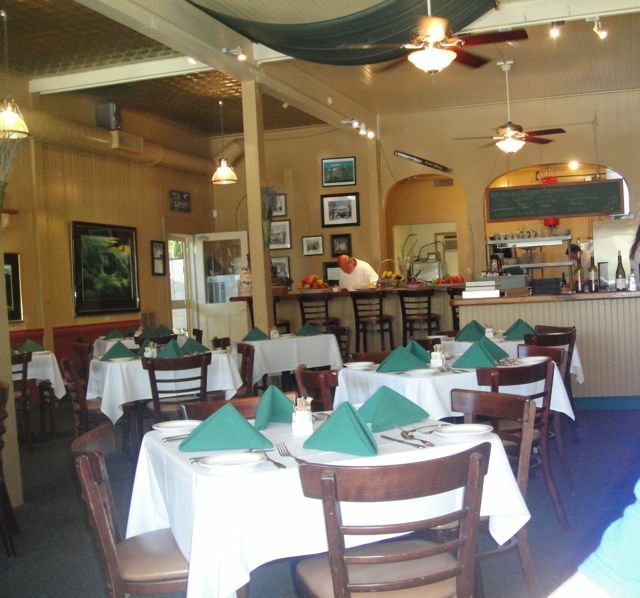 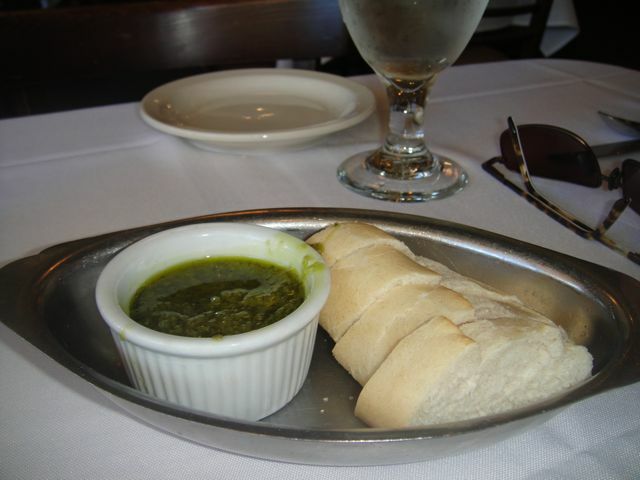 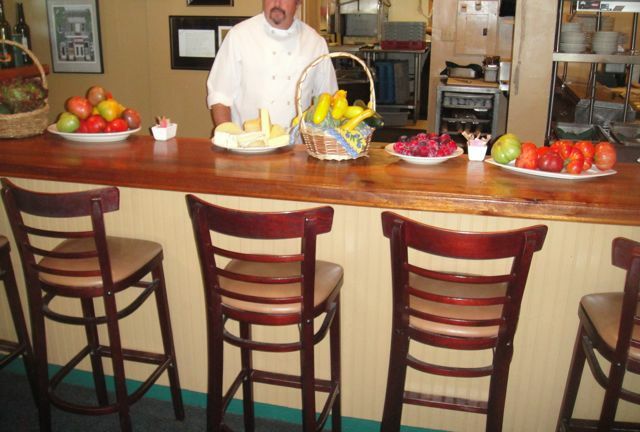 In Los Olivos, there is a restaurant called Patrick’s Side Street Café that is a real find. 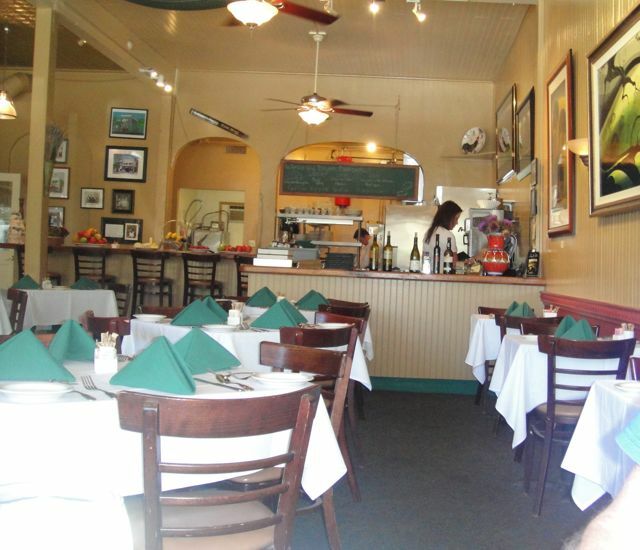 All the vegetables and herbs are from local farmers and the farmers go to Patrick’s first so he gets to pick the best. 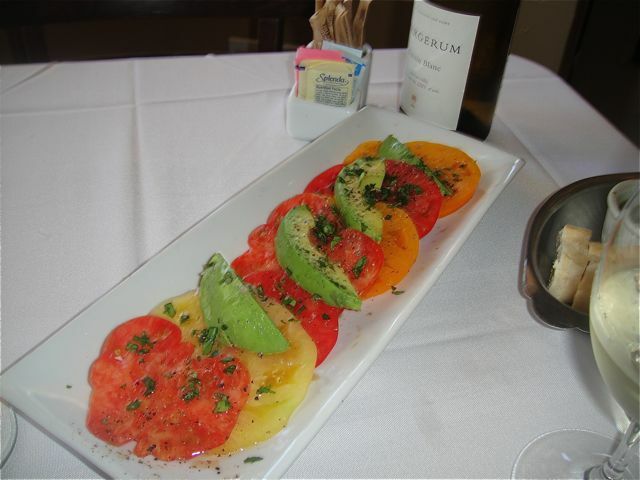 A gift from Patrick – Heirloom Tomatoes, Avocado, Hawaiian Sea Salt, Chopped Herbs from the Garden, Balsamic, Sherry Wine Vinegar, Squeeze of Lemon- the tomatoes had been picked 2 hours before being served and tasted luscious and sunny bright. 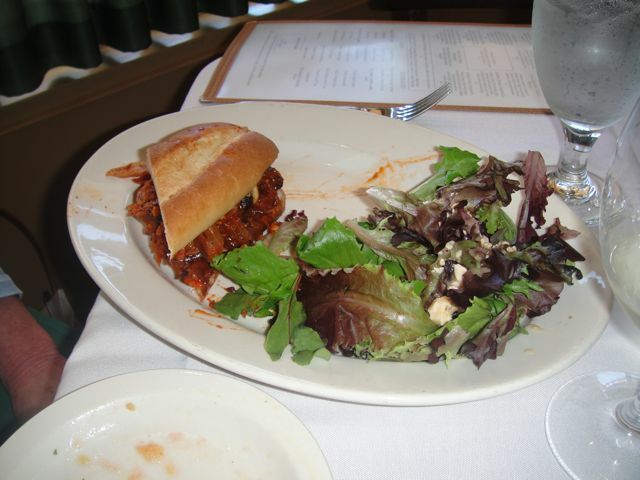 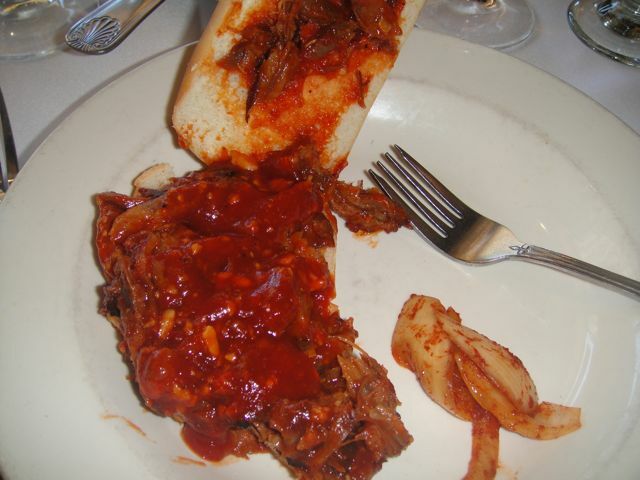 Up-close of the roasted pork sandwich – hope it looks as good as it tasted.